Have you ever been at the office, or wherever you place of employment is and wondered what your cats, or cat, are up to while you are at work? Ever been worried, wondering if they are OK? If that is the case after seeing this video, I don’t think you are going to be worried or wondering anymore. Yes, your cats might miss you and be happy to see you when you get home, but I think as you will soon see, they are quite content in their own space, napping or sleeping the day away. With the occasional snack in between of course. I have to admit, prior to seeing this video I occasionally hoped my cats were OK. But once I watched this video my mind was instantly put at ease. Cats are after all pretty independent souls, not like dogs at all. As long as you provide them with good food and lots of love, only when they are ready to receive it, they will go about their day own their own with no trouble at all. Then be very happy to see you when you get home. 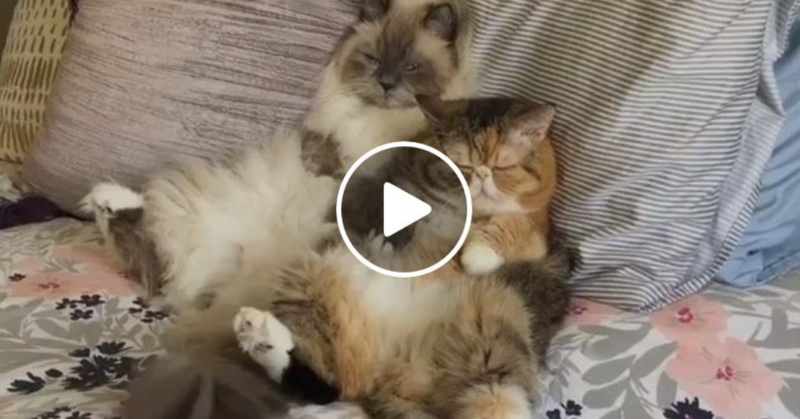 If this video put a smile on your face please SHARE with all your cat loving friends.